sticking it out through scary markets. while proving that we’re smarter than everyone else. It’s not terribly surprising that there’s a whole industry built upon selling us the message we want to hear. What’s the Purpose of Diversification? So who’s right? Is a total stock market fund the most diversified U.S. stock portfolio you can have? Or is it possible to achieve better diversification by adding other types U.S. stock funds? That depends on why you’re diversifying. Many would argue that the purpose of diversification is to spread your investment over as many companies as possible. If that’s the case, then the U.S. portion of your stock portfolio can’t be more diversified than a Wilshire 5000 fund. Adding a REIT fund would not improve your diversification. A Wilshire 5000 index fund already includes REITs. Adding a value fund would not improve your diversification. A Wilshire 5000 index fund already includes value stocks. Adding a small-cap fund would not improve your diversification. A Wilshire 5000 index fund already includes small-cap stocks. Others would argue, however, that the purpose of diversification is to reduce the overall volatility of your portfolio. If that’s the case, you can improve your diversification by investing in asset classes that have less than perfect correlation to the rest of your portfolio. …then you should do it. It will improve your diversification. Example: A large-cap value fund has similar expected return and similar volatility to a total stock market fund. Yet it performs differently on a month-to-month and year-to-year basis. So adding it to your portfolio–while it won’t increase the number of companies you’re invested in–should reduce overall volatility. I’m reluctant to say that either definition of diversification is better than the other (though personally, I lean toward the second). I would, however, argue that it’s essential for you to understand what you’re trying to achieve when you construct your portfolio. If you don’t know why you’re diversifying, you won’t know how best to do it. Note: This article is about rolling a 401(k) account into a Roth IRA. For information about rolling your 401(k) into a traditional IRA, see this article. 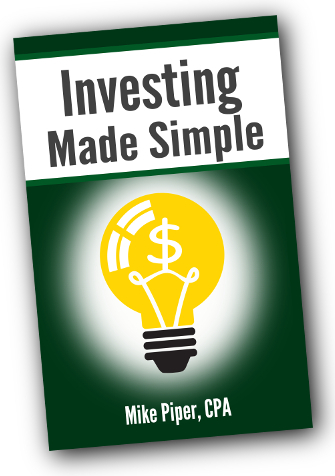 Convert the amount in the traditional IRA to the Roth IRA. Now, however, the process has been simplified. After you’ve left your job, you can directly roll your 401(k), 403(b), or 457 account into a Roth IRA. Step 1: Open a Roth IRA (if you don’t have one open already). Am I Eligible to Roll My 401(k) into a Roth IRA? For tax years prior to 2010, you could only roll your 401(k) into a Roth IRA if your Adjusted Gross Income was below a certain limit ($100,000 for 2009). Beginning in 2010, however, the income limit disappears. Should I Rollover My 401(k) to a Roth IRA? …then it’s probably better to roll it into a traditional IRA rather than a Roth IRA. Passive investors aren’t immune to the temptation to chase performance. We just do it by tinkering with our asset allocations rather than hopping between various actively managed funds. Portfolio B overweights small-cap and value stocks. Theoretically, Portfolio B should earn slightly higher long-term returns than Portfolio A because it carries slightly higher risk. Of course, there’s no guarantee those additional returns will materialize over any particular period. However, picking either A or B and sticking with it is likely to beat the heck out of jumping back and forth between A and B, always moving to the one that’s done well over the last couple years. The same thing happens with your allocation to REITs. Whether you allocate 5%, 10%, or 20% of your portfolio to REITs, there will always be years in which you wish your allocation was something different from what it is. And with your U.S. vs. international allocation: Should 20% of your stock portfolio be invested internationally? 40%? Regardless of what you choose, there will always be some other allocation that’s done better. Be wary of the temptation to tinker with your portfolio. It may be nothing other than chasing performance. Or to put it differently: How we invest is at least as important as what we invest in. What’s the Best Bond Fund or ETF? If you could select one of the following funds to serve as a diversifier for a stock-oriented portfolio, which would you choose? I’m currently using Total Bond Market for the bond portion of my portfolio, but I’m considering switching. The difference in expenses between the funds is quite small, so that leaves two factors for deciding: credit rating and maturity. The Total Bond Market fund is roughly 34% Treasury securities, 38% government-backed mortgage securities, and 28% corporate bonds. The other two funds are obviously 100% Treasury securities. The Short-Term Treasury Fund has an average maturity of roughly 2 years, while the Intermediate-Term Treasury Fund and Total Bond Market fund have average maturities of roughly 6 years. Treasury or Total Bond Market? The primary reason I’m considering switching out of the Total Bond Market Index Fund is that it holds 28% of its portfolio in corporate bonds. Their lower correlation to the stock market would mean that either of the Treasury funds would work as a better diversifier than the Total Bond Market fund. The downside: Due to their lower-risk profiles, the Treasury funds should have lower expected returns than the Total Bond Market fund. The shorter a bond’s maturity, the less sensitive it is to inflation risk and interest rate risk. As a result, the short-term fund exhibits less volatility (in terms of annual returns) than the intermediate-term fund. In exchange, it should earn slightly lower returns over extended periods. For me, if an asset class has higher long-term returns and lower correlation to the rest of my portfolio, that’s a good thing. And even if its stand-alone volatility is higher, it may lead to a less volatile overall portfolio. As you can probably tell, I’m leaning toward switching to the Intermediate-Term Treasury Fund, but I’d love to hear your thoughts on the matter. If you feel a need to check your portfolio everyday (or week, or month) because you’re worried about how it’s doing, perhaps you should listen to what some part of your brain is telling you: Your risk tolerance isn’t what you thought it was.